Passengers on a train in Hamburg, Germany called in the police to deal with a phone user. His particular offence was not using his “handy,” as the Germans call their mobile phones, in a quiet carriage. No, it was offensive speech. With a difference. Because, it was his choice of ring tone that caused the upset. But it wasn’t the sort of ring tone that sends most of us mad with rage or green with envy…crazy frog, perhaps? Rather alarmingly his choice of ring tone was a snippet of a speech given by Adolf Hitler before World War II. A speech in which he called for the destruction of World Jewry should Germany be dragged into a European war. Yes, it happened. His alarming choice of ring tone was nothing, however, to his six month jail sentence for “a public display of the Nazis and all their works.” Really offensive speech in other words. No doubt there is more to this story than is reported. That’s often the case. Because we don’t know whether this person was already known to the courts. Perhaps so. But a six month jail sentence for playing a speech segment as a ring tone does seem mightily illiberal. Even if the speech was given by that Country’s most depraved leader of modern times. Something tells me, however, that he’s not going to be rehabilitated with this sentence. Couldn’t he be compelled to use the barbie doll ring tone for six months? Now that would be a real punishment. And perhaps a degree of rehabilitation for the offensive speech. 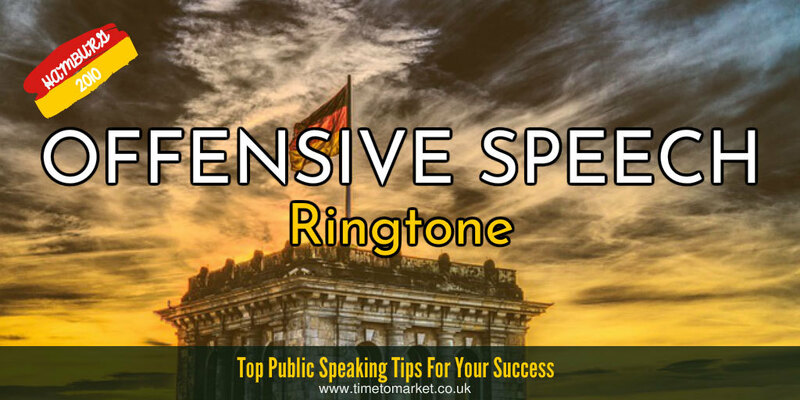 You can always discover more public speaking tips with our regular series of tips for speakers and presenters. And, with more than 100 tips from which to choose, there’s something for every speaker. 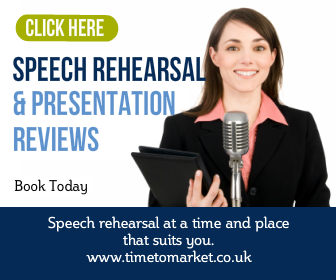 And, when you need to be more confident with your own speeches, then why not consider some training. 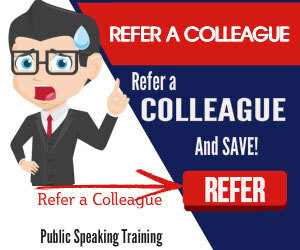 Because a well-timed training course should always set you up as a confident speaker. So, when the time is right, please don’t hesitate to get in touch. We have the rolling news on in the office…quietly, plus a stack of the day’s papers always give some inspiration. Thanks for the enthrilling article, can I ask where you get your sources from?